I'm always trying new products in my quest for pain relief. I'm still on a year and a half waitlist for Ehlers-Danlos testing. You'd think they could just have everyone come in and give their damn blood so we could get a move on. However, since I do have Adhesive Arachnoiditis, an untreatable and incurable disease of the spinal cord, the pain can at best be background noise throughout my day and at worst crying and convulsing on the floor. I've experienced both in my journey and it just depends on the day. Regional nerve pain is too hard to predict and control. 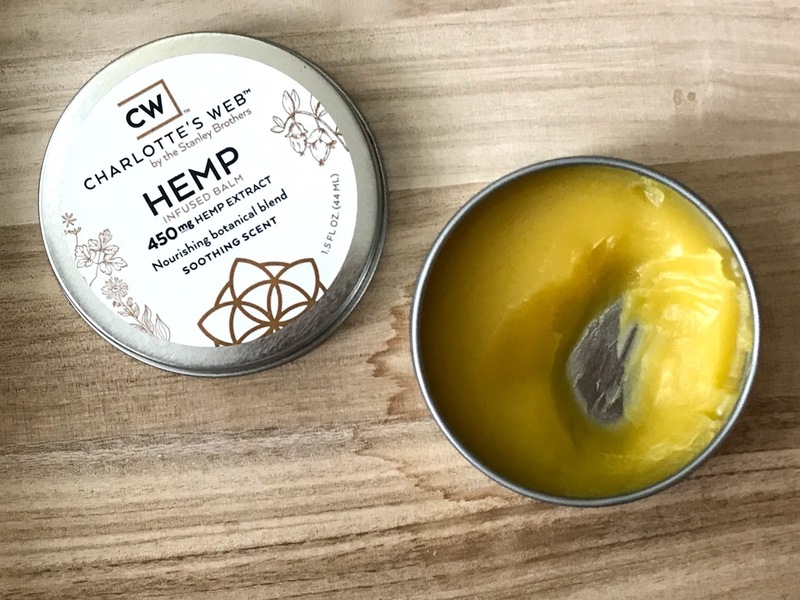 In my quest, I stumbled upon Charlotte's Web Topical Hemp Balm. Hemp is different from CBD products as it is covered under the 2014 Farm Act. It should be noted that CBD is not legal in all 50 states but Hemp is. I ordered this from Thrive Market to try for some of my worst nerve pain flares. Right now, I have bursitis and shoulder impingement (rotator cuff tendinitis) in my left shoulder. My arm has been killing me for months to the point of wanting to cut it off. On top of my Adhesive Arachnoiditis pain, I have been pretty miserable. I can't lay on my left side for relief, nor can I lay on my right for relief. This balm has been my saving grace. It takes about 30 minutes to work after applying but keeps the pain down for about 4 hours without having to take ibuprofen or naproxen which can kill gut bacteria and lead to Leaky Gut - a problem I have been battling for over a year now with the help of my functional medicine doctor. 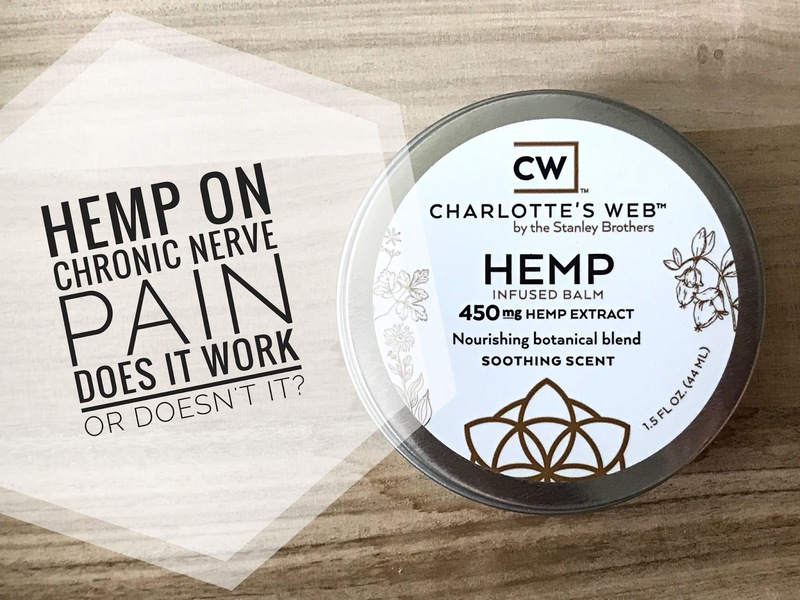 I wish it would work a little bit longer and while it does great for my bursitis inflammation, it is hit or miss for my nerve pain. 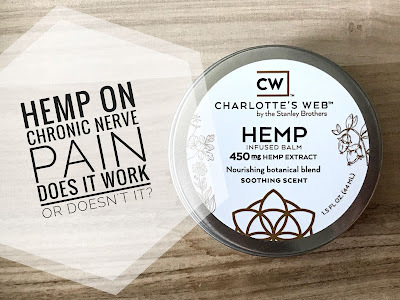 There is a stronger lotion that I may try when I run out of the balm so stay tuned to my chronic nerve pain journey.